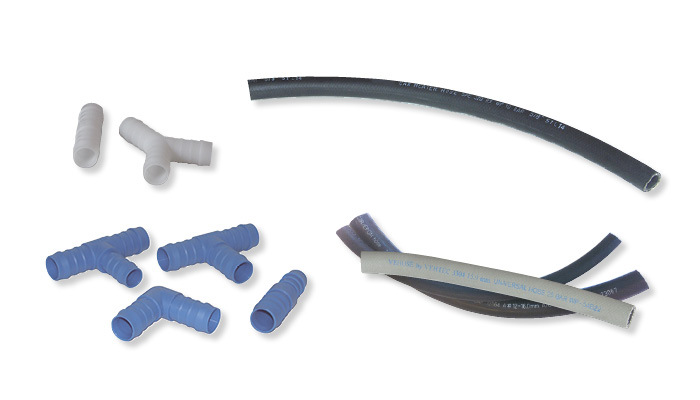 Our connectors and hoses are manufactured to sustain harsh conditions. Our signature VeHose is reinforced, has double-lining and is still fully flexible. VeHose withstands a pressure up to 25 bar, while our standard hose takes 10 bar. Both come in 16, 19 and 22 mm. SAE. For your custom fit, we also provide a series of elbows and elbow reducers in a variety of lengths and sizes. Our connectors include straight, Y- and T-shapes and come in standard sizes 16 and 19 mm. Contact us for a full selection.